This awesome inside out rainbow polka dot cake is for bakers who love a good challenge. While this fun recipe is not necessarily hard, it does require some skill and plenty of patience. Jemma (the pastry chef in the video) was kind enough to create a template to help you with this project. 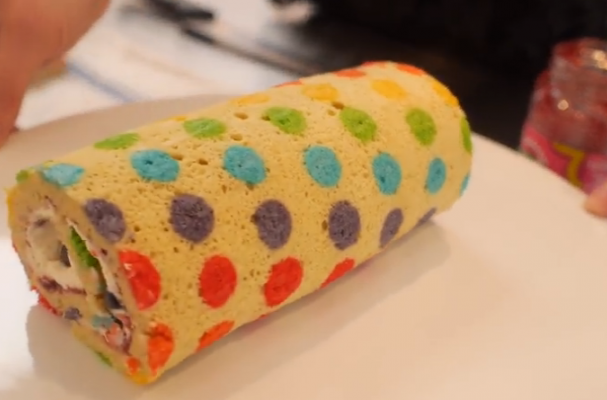 The colorful sponge is filled with jam, whipped cream and fresh fruit before it is rolled and served.